A second benefit concert for North Bay wildfire survivors, headlined by the Red Hot Chili Peppers, raised $5 million Thursday night in San Francisco. The show at the Bill Graham Civic Auditorium was sold out and included families who lost nearly everything in the fires. One family from Mendocino County lost their home and some pets. But they haven’t lost hope, and the concert was a big boost. When the Chili Peppers took the stage, it was a special treat for Maria Frei. "I think it’s so magical," she said. "I love that they’re doing that; they’re like one of my favorite bands." Frei was at the show with some of her family. At the moment, they’re staying with extended family because their home in Red Valley, just north of Ukiah, is gone. People at this concert weren't just sharing a love for music, they also were sharing a need to help their families, friends and neighbors who are still struggling. "I hadn’t seen what happened, but I went up there over Thanksgiving, and she showed me all the devastation that happened up there," said Gato Gourley, a San Francisco resident whose sister was evacuated from Santa Rosa and lost her home. Thursday night's concert is the second in what’s now become a series of benefits since the fires. "Music is amazing how it gets people involved," said Greg Perloff, CEO of Another Planet Entertainment. "It’s the universal language." 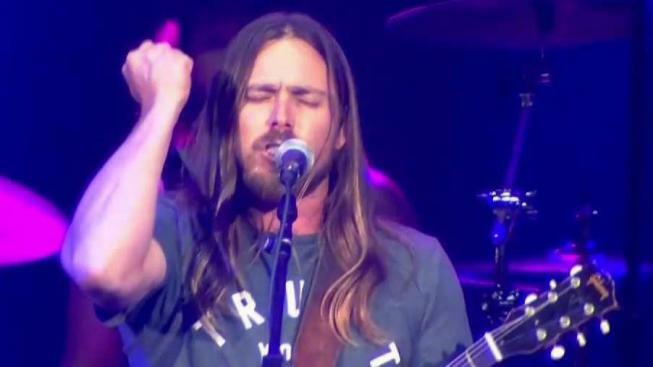 The artists, which also included Lukas Nelson, son of country music legend Willie Nelson, performed for free. A third benefit concert is already in the works. So far Tipping Point, the organization spearheading the benefit shows, has raised about $30 million. It says 100 percent of ticket sales goes to help organizations that are helping North Bay communities rebuild.